On My Wishlist #2 ~ Love.Life.Read. 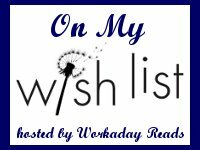 Hosted by Workaday Reads, this is the post in which we highlight books we have on our wishlist. It could be an upcoming title, a just released, or an old title to me. Gigi, Bea, and Neerja are best friends and total overachievers. Even if they aren't the most popular girls in school, they aren't too worried. They know their real lives will begin once they get to their Ivy League colleges. There will be ivy, and there will be cute guys in the libraries (hopefully with English accents)! But when an unexpected event shows them they're missing out on the full high school experience, it's time to come out of the honors lounge and into the spotlight. They make a pact: They will each take on their greatest challenge—and they will totally rock it. Gigi decides to run for student rep, but she'll have to get over her fear of public speaking—and go head-to-head with gorgeous California Will. Bea used to be one of the best skiers around, until she was derailed. It could be time for her to take the plunge again. And Neerja loves the drama club but has always stayed behind the scenes—until now. 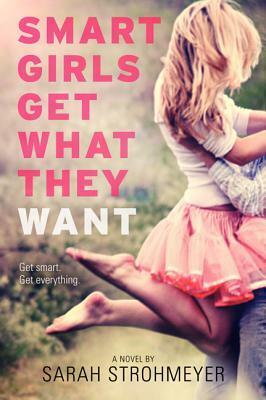 These friends are determined to show the world that smart girls really can get what they want—but that could mean getting way more attention than they ever bargained for. . . . I really liked it when I read it and it is one I would like to have in my collection. There is a lot of good stuff in it so I want to get a copy and hold onto to it to give to my daughter to read when the time is right.